If you’ve resorted to collecting the pennies you see on the sidewalk, it’s time to start looking for a job. Yes, with school work, it can sometimes feel like you don’t have a moment to breathe. Luckily on-campus, part-time jobs are designed to fit the hectic schedule of a stressed-out college student. The hours are limited and extremely flexible to work around your classes and activities. On chill work days, you can catch up on your homework on the job. Some even offer course credit. 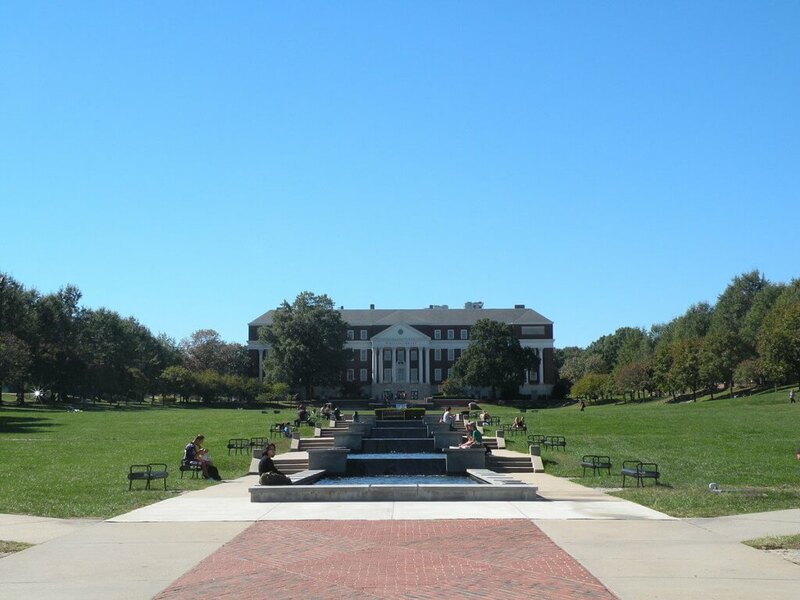 Stop stressing and start saving with one of these stellar part-time jobs at the University of Maryland. Student bus drivers make the highest hourly rates compared to any other on-campus job. But with that extra cash, does come a lot more responsibility—you have your fellow Terps’ lives in your hands. Plus, you may or may not have to clean up puke if you work a late night shift. Ouch. You’ll start out getting paid minimum wage while training for a CDL license, and then get paid more once certified. This job will challenge you to master time management, because a late bus means some very angry Terps. The life of a bus driver comes with a feeling of accomplishment: The campus literally couldn’t function without you. Becoming a group fitness instructor will give you the best of both worlds—you’ll get your spring break bod and that cash money. With classes ranging from Pilates, to HIIT, to Zumba and even Kickboxing, you can choose your specialty. Although teaching experience is preferred, it is not required, and you don’t need to be in “perfect shape” to become an instructor. Unfortunately, you do need to pay for your certifications out of pocket, but the University Recreation and Wellness (RecWell) keeps that in mind when writing your paycheck. The certifications you earn are nationally recognized, which means you can go on to fulfill your life-long dream of becoming a professional Yogi after college. If you’d rather not work out yourself, consider becoming a RecWell Facility Staffer. You’ll swipe in students with their IDs, set up special events and oversee the different fitness areas—including the weight room. Athletes need spotters too, ya know. Desk receptionists working for Resident Life can work in one of the many Residence Halls on North or South Campus. You can even work in your own building, so your “walk” to work could be a 30 second elevator ride. As a community assistant, you’ll answer phones, give students their packages and provide keys for new residents. “My favorite part…is the fact that I can do homework at the front desk which is really helpful because of my major, I’m an engineering [major]. I have a lot of homework so being able to sit here and do my homework and get paid for it is really nice,” said UMD sophomore Cathryn Vecchio. “Also on days where I’m just not feeling any kind of work, I just sit here and watch Netflix which is really nice, it’s really flexible which I like.” Watch out for the hours though—since someone needs to sit at the desk 24/7, you might get stuck with the 4 a.m. shift. Dining services at the University of Maryland offer a wide range of jobs to students. This doesn’t mean you’re stuck working in the dreaded dining halls. You could work in one of the five convenience shops, Starbucks cafes, Freshens at the gym and more. Plus, the hours are extremely flexible.“They understood that I was a student first, so it was okay if I had to miss work one day so I could study,” said UMD freshman Kristina Elliott. You’re also blessed with a free meal for every four hours that you work, so you never have to worry about running low on dining points. Hello free Frappuccinos. The Co-Op hides away in the basement of The Stamp Student Union, swarming with campus hipsters. I would say that the Co-Op offers the best food on campus, as long as you like vegan and vegetarian options. At the Co-Op, all employees are equal—hierarchy positions like boss and manager literally do not exist. If you can’t commit to a part-time job, they offer $9.55 in food credit for every hour you volunteer there. You might want to commit as an employee for the music perks, though. Employees get to pick an hour’s worth of music in the order they arrive, so you can listen to anything from Bon Iver to RENT show tunes. Did someone say free housing and food? That’s right, as an RA your room and board come absolutely free, saving you thousands of dollars. As an RA, you focus on resident safety as well as enforcing rules, mediating roommate conflicts, leading floor meetings and planning and hosting different bonding activities for your residents. “Safety is the number one thing and that comes from building community and interacting with your residents,” UMD freshman and RA Saul Schaffer said. The hiring process is pretty rigorous, though. On top of an application of three essays, a list of your extracurricular activities and two recommendation letters, you’ll also go through two rounds of interviews. But all that hard work will pay off with the free perks, as well as some fun on the job. RAs get the inside scoop on all the gossip going on within the entire building. “I’m a really curious and slightly nosy person, so when you’re an RA you know everything that’s happening in a building, whether it’s on your floor or somebody else’s floor and you can’t tell anybody…but just knowing is kind of fun,” Schaffer said. Adele’s is a sit down restaurant completely run by students, for students on campus. You can use your dining points here so don’t be fooled when your boyfriend suggests taking you “out” to Adele’s for dinner. Students can either work as hosts or waiters, which on a good night can make you tons of tips on top of your hourly wage. The best time to work is during lunch hours because the professors dine in and *hint hint* they like to give very generous tips. Are you crazy good at numbers? Did you breeze through Calculus I? Use your blessed skills to help those less fortunate pass their math classes (AKA me). Maybe math isn’t your thing, but you have a passion for writing. Then help out at the writing center to get those struggling English 101 students that A. As a student tutor, you can easily sacrifice a few hours a week to tutor fellow students in your best subjects. Who knows, maybe you’ll find the Aaron Samuels to your Cady Heron. Remember, the limit does not exist. American Reads/America Counts is a unique program that connects the University of Maryland with its surrounding community. UMD students can either volunteer or participate in a FAFSA-sponsored work-study program to tutor and mentor elementary school-aged children in Prince George’s County. In the past, UMD students have helped elementary students improve by three book levels and increase their math scores by nearly 20 percent. “America counts gives the students on a college campus the chance to support their surrounding community,” UMD freshman Katherine Jones said. “These children also often come from families where no one has attended college so by mentoring these children throughout the year we are also able to introduce what college is at a young age.” Give back while making a little money toward your college fund along the way. Drum roll please: This may be one of the most envied jobs offered by RecWell, especially since most people don’t know even about it. As a trip leader, you’ll lead “adventure trips” every weekend throughout the year. “The adventure trip leaders get to go off campus every weekend and go hiking, back-packing, biking, caving and they’re getting paid for that,” Maloney said. But wait, it gets better. Some of these positions actually allow you to earn college credit while you work or train for your position. “The adventure program this year partnered up with study abroad, so we were able to offer a winter term study abroad trip to Patagonia,” said Alex Huseman, a senior trip leader, challenge course supervisor and rock wall supervisor at UMD. Other than exciting trips and insane benefits, these work environments become your second home. “The adventure program is really tight knit and so it’s just really great to come to work with your friends…If I didn’t have the adventure program, I don’t think I’d like Maryland…nearly as much,” Huseman said.